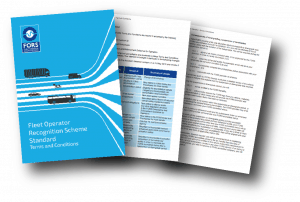 The FORS Terms and Conditions and FORS Rules and Procedures have been updated and are now available to download. These will be effective from 14 January 2019 for new and existing members. A transitional provision is in place for existing MOCAs regarding points 2 and 3 above. This means that the current version 4 ratio will apply throughout 2019 without an audit at the HO. However, any MOCA re-approval audits in 2020 will fall under the updated rules and procedures, including the above ratio and HO requirement. The provisional transition does not apply to organisations becoming MOCAs from 14 January 2019. Click here to download version 5 of the FORS Terms and Conditions and FORS Rules and Procedures. Please ensure that you familiarise yourself with the changes. FORS accreditation is governed by the FORS Terms and Conditions and all FORS operators are deemed to have read and accepted these Terms and Conditions.